As soon as children enter Pre-school, you will notice how much their teachers encourage reading. Reading to young kids is fundamental to early language skills and it promotes early literacy. Reading promotes creativity and imagination (De-Vito, n.d.) The promotion and encouragement of reading in our homes are essential for when they progress in school. Likewise, regular shared reading and productively reading to our young children is as vital. Regular shared reading, as well as the home support, is beneficial for young kids. Research such as the study conducted to show the relationship of parental involvement to children's mathematical performance and mathematics anxiety presented how the interaction and home support can reduce kid's math anxiety (Vukovic, 2013). The frequency and consistency of reading books to pre-school children and shared book reading had a "moderate-to-strong relationship with measures such as emergent literacy, children’s language growth, and reading achievement" (Levy, R.; Hall, M. & Preece, J., p. 125, 2018). While several types of research support the benefits of reading, it is important to note that reading takes time to develop. We can not force our kids to learn how to read at a young age. We need to foster a love of reading and remember that reading is fun but also a journey. How can we cultivate their love of reading? 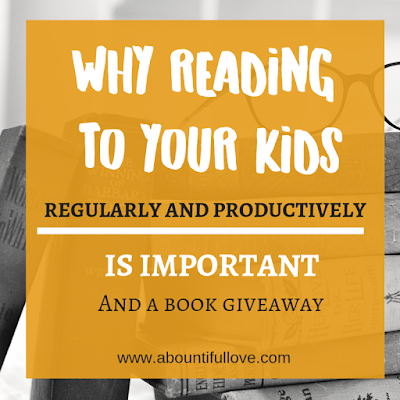 How can we regularly and productively read with our kids? The study by Levy et al., (2018) also states that older children are more motivated to read when they see their parents read. We can not teach and preach if they do not see a good example in us. Over a period of time, you will start to notice what type of books and stories they will be interested in. There was a time when our youngest was into ballet. She loved reading anything ballet. There was a time when all she wanted to read was about sharks. Visit the library often or purchase used books on Amazon. We started with bedtime reading. It was a scared routine for us. It was my bonding time with them. Then we started reading kid-friendly devotionals. Trust me that as your kid grows up, they may move away from bedtime reading. BUT, you will find them reading at any time. This is where productively read comes. Don't just read for the sake of reading. Engage with them. Our girls love when I change my voice to match the characters in the story. Ask them questions! Not only to check on their comprehension but to interact. You will be surprised at how your kids see different things and you will be mesmerized with their perspective. 5. Try to provide appropriate reading level books. Scholastic's five finger rule is perfect. It provides a general idea on appropriate book level reading. Right track reading also provides a good stage of reading development. 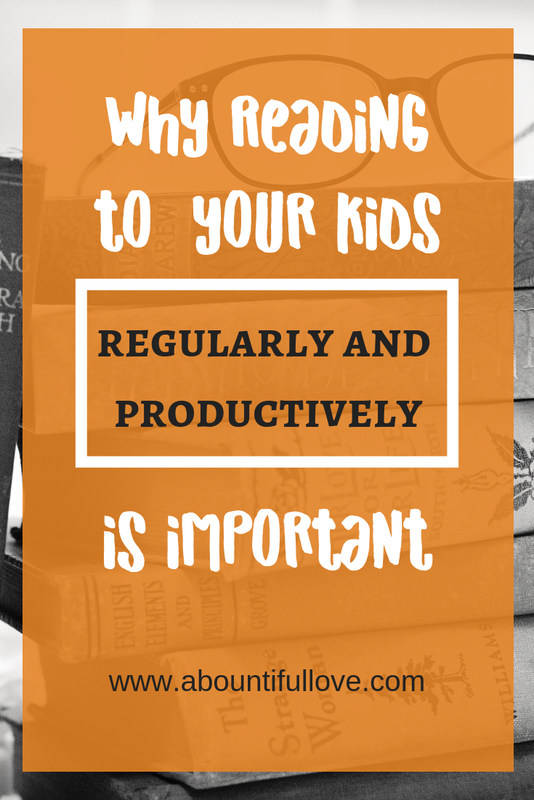 One of the reasons why some parents fail to read to their young children is the lack of time. That is one of the things I love about this book. It is a collection of five-minute stories that reinforce morals and values. It is also a perfect on-the-go storytime for kids. 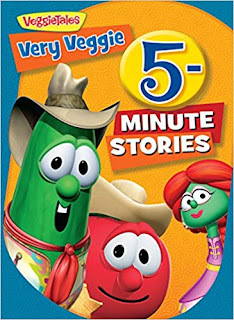 This book is a collection of Veggie Tale's funny adventures that foster values such as being patient, being responsible, loving others, and doing their best. The illustrations are very colorful and engaging. Even though it is meant for five-minute, don't let that stop you from interacting with them. When time allows, the book is a great tool for conversation and a teachable moment. The age suggestion is for 3-6 years old. However, I think that 3 to 10 years old will enjoy the Very Veggies Five-Minute Stories.